They didn't have fridges then. Now if the planet gets too warm, the government can just mandate we all open our fridge doors at 4 PM. A nice pictorial representation of........................ cherry picking. Thank you. Thats how the deniers do it. Now where is this graph from? A quick Google only locates this graph at that blog, while all alternatives I come across claiming NASA sources look very different. If it's supposed to mean something, I want a source on this graph which isn't a climate sceptic blog. Deniers rarely provide links. Half the time its made up from whackos and the other half of the time the discussion at the link is about how the chart is actually wrong. No one can explain this behavior other than promoting fraud. bobbo_the_Pragmatist wrote: Deniers rarely provide links. Half the time its made up from whackos and the other half of the time the discussion at the link is about how the chart is actually wrong. Jim Steele wrote: Bobbo you need to first show the quotes and links proving your baseless accusations that I have ever denied CO2 was a greenhouse gas, otherwise you are proving once again you are just an ugly liar who repeats the same bogus crap ad nauseum! Very consistent. Changing the common meaning of a term ("denier") just as you alter facts and conclusions from the few links you do provide. So........do you deny that your attempts to establish that various cherry picked events on your part at caused by "Natural Cycles" and not affected at all by green house gases? When you state AGW is real once, but post nothing but the opposite...............your position is understood. OutOfBreath wrote: Now where is this graph from? A quick Google only locates this graph at that blog, while all alternatives I come across claiming NASA sources look very different. Welcome to the world of constantly changing graphs of "climate data". Neither matches the current "official" version, which is meant to be satirical, because there isn't one. "If you tell people the truth, make them laugh. Otherwise they will kill you"
bobbo_the_Pragmatist wrote: Very consistent. Changing the common meaning of a term ("denier") just as you alter facts and conclusions from the few links you do provide. Jim Steele wrote: Bobbo you need to first show the quotes and links proving your baseless accusations that I have ever denied CO2 was a greenhouse gas or altered facts, otherwise you are proving once again you are just an ugly liar who repeats the same bogus crap ad nauseum! Being more specific.........what you say is that co2 is a green house gas..........but it has no effect. If you disagree, say what your position is. Its much like the OP. You don't "say" co2 is not a green house gas......you just claim that any warming from it is from a "cabal of AGW scientist's self evident conspiracy..........."
You accept the science in one sentence here and there..........but then ignore what that means for the pages and pages you post. In a word, thats : INCONSISTENT. bobbo_the_Pragmatist wrote: .you just claim that any warming from it is from a "cabal of AGW scientist's self evident conspiracy..........."
Jim Steele wrote: Bobbo you need to first show the quotes and links proving your baseless accusations otherwise you are proving once again you are just an ugly liar who repeats the same bogus crap ad nauseum! The quote is from the OP.............the first post of this thread. There is no narrative.........only my evaluation of your posts............ as given. If co2 is a green house gas that comes from burning fossil fuels then the effect from that extra co2 will be warming and summed up as AGW. You post as if co2 is irrelevant. 97% of qualified scientists disagree. I go with the majority. bobbo_the_Pragmatist wrote: The quote is from the OP.............the first post of this thread..
so show the quotes and links proving your baseless accusations otherwise you are proving once again you are just an ugly liar who repeats the same bogus crap ad nauseum! And contrived consensus is not evidence! Plus the 97% assertion is as bogus as any boobo claim! Again.......not my claim. We've covered these topics already. Your opposition is called denial....because the evidence, logic, and entire warp and weave of Science is CLEAR. Again.......your position is nonsense: co2 is a greenhouse gas, but it doesn't increase temperatures. Just poke it with a stick. Indeed I have provided very clear science to support every claim. Jim Steele wrote: Boobo you need to quote me exactly, not put your stupid words and gross misinterpretations in my mouth, that only show your total failure to understand the complexities of the science. So show the quotes and provide the links Mr. 2-face proving your baseless accusations, otherwise you are proving once again you are just an ugly liar who repeats the same bogus crap ad nauseum! I agree the evidence you provide is valid.........but only as far as it goes. Some cherrypicked evidence limited in time and space that DOES NOT represent the world wide climate but rather only represent some localized condition. You've gone so far down this mechanism you have any stated there is no such thing as global climate or world wide averages. Once you pull back to the big picture............you've got nothing but a collection of the downward zigs that ignore the upward zags. Like Robinsons cherrypicked graph to show there is no general increase. bobbo_the_Pragmatist wrote: You've gone so far down this mechanism you have any stated there is no such thing as global climate or world wide averages. Arguing about "exactly" what was said or meant is a childish waste of time. Lets deal with current reality: What is your opinion of the IPCC opinion that the Climate is warming due to man burning fossil fuels? ................and that such burning needs to be curtails asap before human society will be severely impacted by such practice? ..................in the next 100 years. bobbo_the_Pragmatist wrote: Arguing about "exactly" what was said or meant is a childish waste of time. ROTFLAMO. No bobbo your incessant lies and purposeful misinterpretation are not only childish but dishonest trolling. Jim Steele wrote: So Boobo you need to quote me exactly, not put your stupid words and gross misinterpretations in my mouth, that only reveal your total failure to understand the complexities of the science. How can I get you together with Xouper? bobbo_the_Pragmatist wrote: Lets deal with current reality: What is your opinion of the IPCC opinion that the Climate is warming due to man burning fossil fuels? ROTFLMAO....Another "artful" (deceptive!) dodge of an ignorant troll. Bobbo's verbal diarrhea has persisted in creating a bogus narrative based on his delusional interpretations of my claims and inability to comprehend the science. When his trolling falsehoods and ignorance are exposed and exact quotes and links are demanded, Boobo-the-2-FACE fails to provide any links to support his falsehoods and instead oddly asks for my opinions about climate change even though he already has falsely stated many times his interpretations of what I have posted. Yeah......I'm gaslighting you. .................all part of the great cabal you reign victorious over. 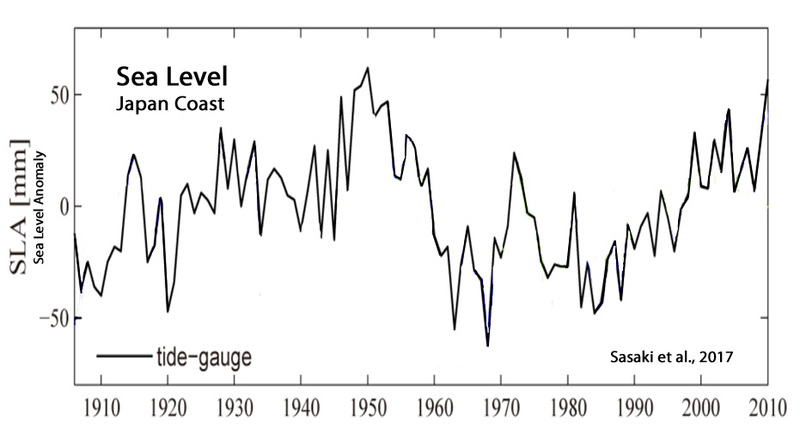 Do changes in sea level reflect global temperature change? ................... think "chimera" or cherry picking in May. bobbo_the_Pragmatist wrote: How can I get you together with Xouper? Strangely, It appears Xouper stopped posting just like Sweetpea stopped posting. I don't know why. I assume he's taking a break from the repetitive arguments and lack of respect he gets from the anti-gun crowd. Sweetpea got tired of the same thing regarding evolution? It is disheartening.......same arguments year after year. Over two hundred papers since 2017 (from the 97% ), have shown no warming exceeding the 1940s! I will try to bring as much science to the people as I can! 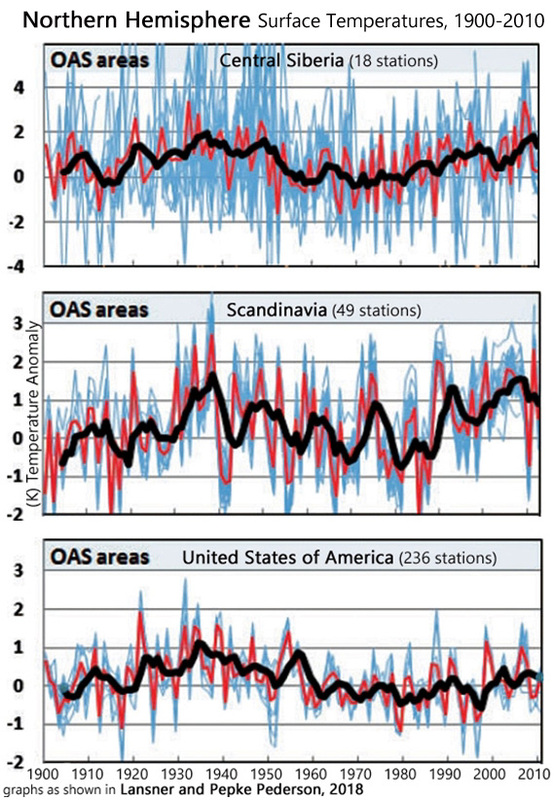 The methods used in this work are meant to give a rough picture of the large differences in temperature trends between OAS [ocean air-sheltered OAS-stations] and OAA stations. 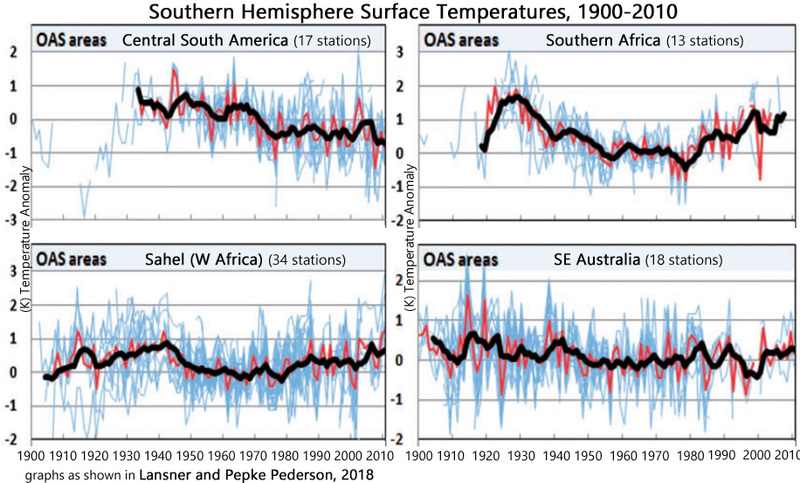 … When we isolated temperature trends 1900–2010 with as little ocean influence as possible – the OAS areas – we found a warm period 1920–1950 with temperatures similar to recent decades for all investigated areas worldwide. Cherry picking data once more, Jim. As I have pointed out before, climate and weather are chaotic, meaning there are always local exceptions to long term overall trends. Cherry picking those local exceptions is just plain dishonest. The reference below contains the NASA graph for the global picture. Quite different to your localised exceptions. Lance you are such a denier. This thread lists a multitude of data from all over the world showing the warm peak around the 40s, but alarmist always deny the facts. 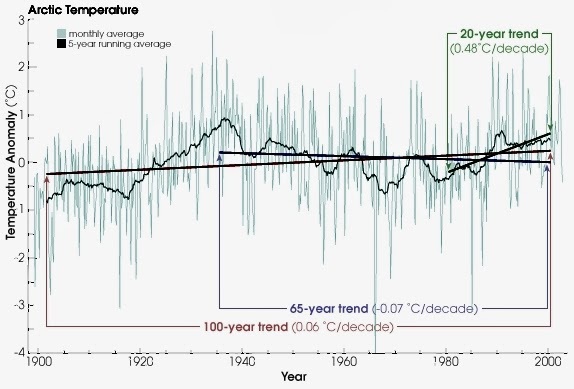 Instead Lance links to a "global graph" that in reality clearly illustrates how the warm blips of the 40s seen all around the world have been eliminated by a global algorithm, just as the climtate scientists said they were trying to do in the climategate emails. The warm blips are EVERYWHERE we look. The only cherrypicking is Lance's bogus link. The year 1940 was warm. But recent years have been much warmer. Look at the average global graph. Not the cherry picked local graphs. Lance Kennedy wrote: The year 1940 was warm. But recent years have been much warmer. Look at the average global graph. Not the cherry picked local graphs. ROTFLMAO. 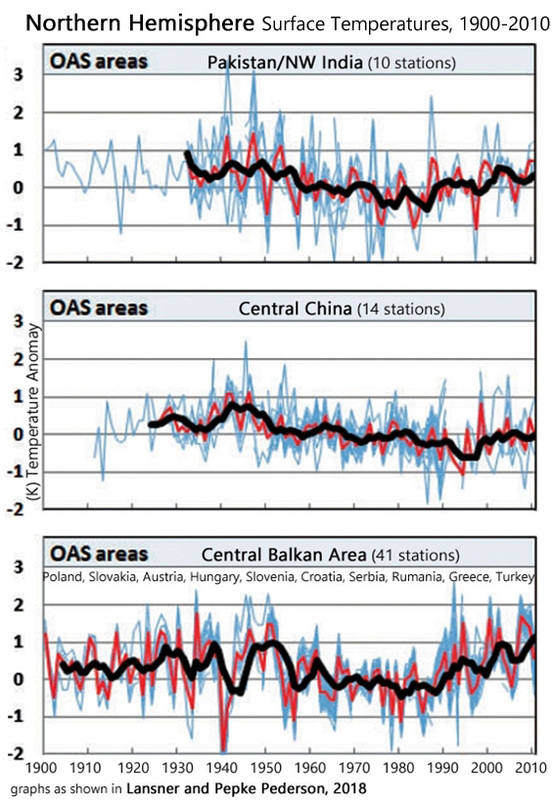 Local and regional graphs reflect only measured real temperatures. Global temperature graphs are chimera of real regional temperatures adjusted by the researcher's preferred algorithms and adjustments. Only alarmist conspiracy theorists ever deny the actual regional evidence. If alarmists are truly interested in the real data, then they should be asking "what sort of algorithm turns the hard evidence of the 40s warm blips into colder periods. Last edited by Jim Steele on Tue Mar 27, 2018 10:49 pm, edited 1 time in total. You are not presenting hard evidence. Cherry picked data is not hard evidence. The reference above is a NASA graph of recent global warming as a global average. NASA do not offer false data. This is genuine. It shows a small blip for 1940, showing it was warmer than average for its decade, but it is a lot warmer still today. I am aware that some global warming deniers carefully search out local areas where the pattern of warming does not reflect the global average, and present these cherry picked graphs as "evidence " for their crackpot ideas. Reputable bodies like NASA, the IPCC, etc do not do this and their data is more representative of reality. It is, Jim, as if I wanted to make argument that everyone on Earth was wealthy, and I did a survey, carefully only checking people who live in Beverley Hills and Monte Carlo. You are making a case that the world is not warming drastically, and you are selecting only those places where that is true. Cherry picking . Not necessarily your fault if you are quoting global warming denier web sites. I have seen the same thing. For example, they had a graph of long term temperature change for the town of Hokitika in my country. It showed no warming. Now why did they pick Hokitika ? It is a tiny little town in an obscure part of the country. But it has not warmed, unlike every other damn town in New Zealand. Get the point ? Lance, I have noticed your affliction in many other alarmist conspiracy theorists. Its called "Evidence Denial that threatens Blind Beliefs"! I can recommend places for you to get help. Your graph, Jim, is another form of cherry picking data. Instead of cherry picking data in space, you have just done it in time. NIWA (the National Institute of Water and Atmospheric Research) is New Zealand's organisation for officially monitoring climate. The reference above shows the increase in temperature over 100 years, not the 18 years your sources cherry picked in order to give a false conclusion. 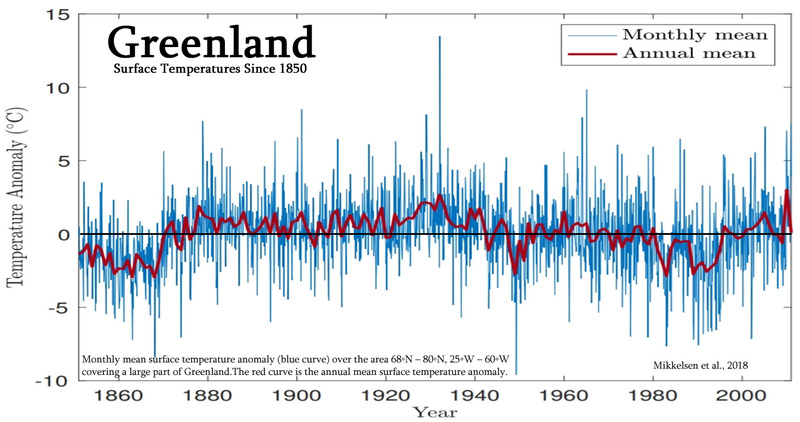 Over 100 years, the steady increase in temperature is clear cut. I also note that your dishonest graph cuts off at 2016. The year that followed was a significant rise in temperature. But the global warming deniers are dishonest and will always remove data that does not fit their criminally irresponsible agenda. The way they did that, Jim, is to begin with 1998 and ignore everything that came before. 1998 was a strong El Nino year, and thus much warmer than normal. This makes the recovery years that follow look like a cooling, whereas they simply represent years that are back onto the long term trend. You will see that warming then continues. Really, Jim, quoting from crackpot sources simply makes you appear to be dishonest.